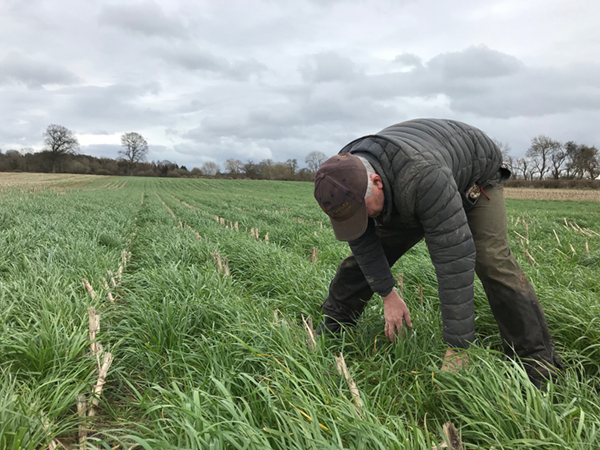 Undersowing maize with a vigorous mix of late perennial ryegrass and advanced tall fescue is improving soil health and helping prevent soil and nutrient loss on a Shropshire farm. JR and HJ Jones & Sons grows 46ha of forage maize as a cash crop on clay-loam soils at Hilley Farm, Pentre, supplying three large dairy units within a 10-mile radius of the farm. The family plan to double the area down to maize, a decision made easier by a series of recent trials looking at undersowing the crop with grass. The aim is to provide a cover over winter to help prevent soil and nutrient loss, while improving soil structure. “We may not be allowed to leave bare stubbles over winter before long. Whether that happens or not, each year we are losing soil. 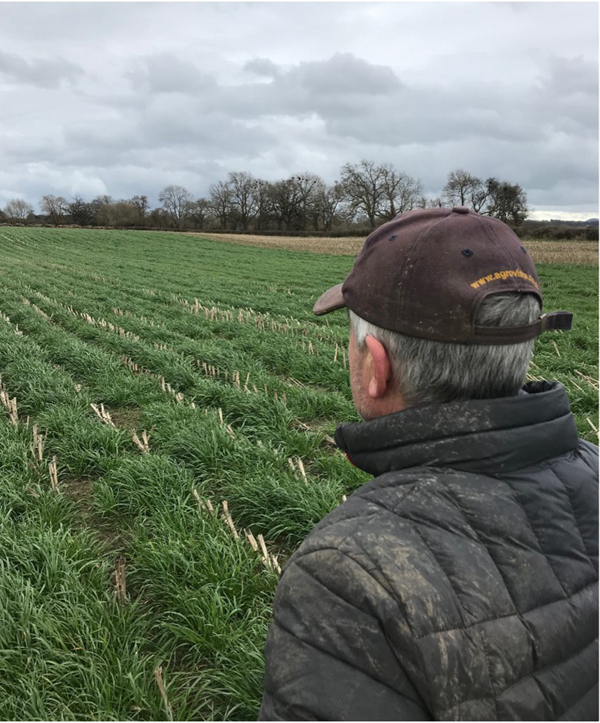 Three years ago, on the advice of Agrovista technical manager Antony Wade and agronomist Rik Frampton, the farm set up some in-field trials to see if undersowing grass could help tackle the problem. “We found that perennial ryegrass and tall fescue produced the best cover and also the best root mass,” says Barry. Two mixtures of late perennial ryegrass and advanced tall fescue were chosen – Enviro Max from Agrovista and a competitor brand supplied by a regional merchant. Both were sown at 4kg/ac in June when the maize had 4-5 leaves by a contractor who had built his own disc-coulter air drill that sows three bands between the maize rows. By the time the cover was sprayed off in March ahead of the next maize crop, it had developed a fibrous network of roots in the upper layers and strong deep roots, which helps the following maize crop put down roots more quickly. All the farm’s maize area will be undersown with the Enviro Max mixture this season. “It’s already bought and in the shed,” says Barry. “Its performance left me in no doubt I should stick with it. “It not only provides peace of mind by stabilising the soil over winter and preserving nutrients but is also improving soil structure.